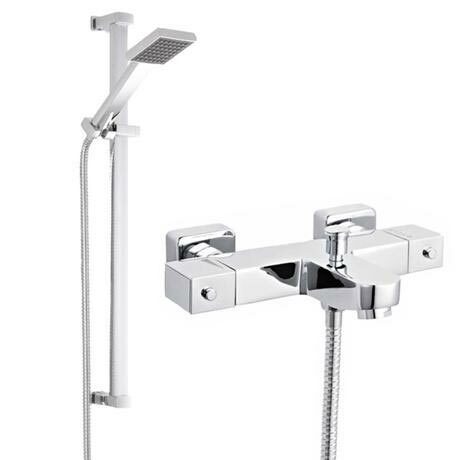 This product features a minimalist bath shower mixer shower valve with thermostatic control, the valve has a bottom outlet for attaching the shower slider rail kit. Very good price for all the parts you get. One of only a few I could find on the internet that combined a shower and bath tap that were he unit fitted against the wall. looks good, decent price. Personally I don't like the slide rail kit as trying to go for a minimal look. Solid build, stylish shower. Thermostat works well.